Six years ago I began to self-hosting my blog. It was my husband who did all the work, but since I started blogging (2009 – off and on to 2011 to most of the time), this corner of the web has been mine. A lot has changed about me since I started blogging. When I first started I was a mom of one, and I just started to become a stay at home mom. After so many years of working, I didn’t know what to do with myself. I had this new life to take care of, and I had a new “me” to define. At first I started writing about my day to day life, and eventually that turned into the things that I enjoy and escapism. I blogged about things that I was trying, and my life at home. Still I wasn’t satisfied. Deep down I wanted to write about my faith, but something was holding me back. Eventually, I began to write about what made me happy (my Faith and God) but I quickly realized that those who wanted to follow my journey will, and those who don’t…won’t. I’ve read some awesome blogs, and was invited into the lives of other people. For that I briefly found my community, and was thankful for the many blog-friends that I have met along the way. Some continued to blog, others no. For that, I’m thankful that it has been 6 years self-hosted blog, and even though I’ve been quiet (summer is just busy around here, there are so many things that are churning in my mind to write down). So, if you’ve been with me all this time, thank you. If you’re new to my blog, than grab some tea (I’m into Jasmine Green Tea now) and sit back and enjoy. 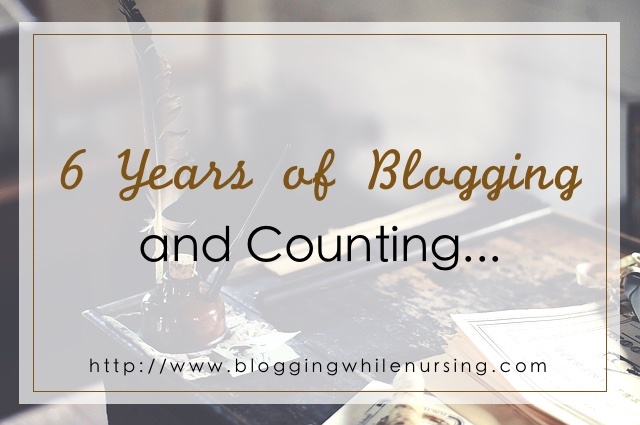 2 Comments on "6 Years of Blogging And Counting…." Wait! I missed a whole baby! GOODNESS! I need to get it together! I’m so glad that we connected via blogging. Your words inspire me in so many ways and have helped me through some really bleak moments over the years. Thank you so much Michelle! Yup, I had another baby, among all the things that happened. I’m looking to get back into writing on a regular basis. With three kids now, my hands are so full! Not to mention that now my middle son is homeschooling..where did the time go?